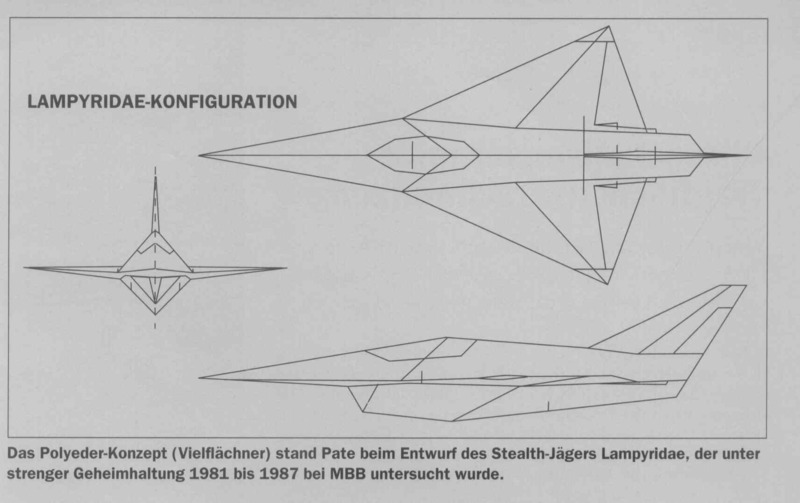 From 1981 to 1987, Messerschmitt-Bölkow-Blohm's (MBB's) plant at Ottobrunn in Bavaria worked on a stealth aircraft, dubbed the Medium Range Missile Fighter or Lampyridae (Firefly), whose core design principle - deriving an efficient aerodynamic shape out of an arrangement of radar-deflecting flat panels or 'facets' - mirrored the technique employed on the then top secret F-117A. The project was headed by Dr. Gerhard Löbert. MBB also developed a software package for RCS calculation, similar to Lockheed's 'Echo' RCS-calculation program. The Lampyridae was a pure research program: the airframes were built to test the shape, they were not meant to be complete, flyable aircraft. The project was driven by the idea that a future fighter could be lighter and cheaper if it were so superior at mid-range that it could avoid close-in dogfighting. The engineers’ task was to develop a configuration with a forward radar cross-section in the X-band some 20-30dB below that of a conventional fighter. 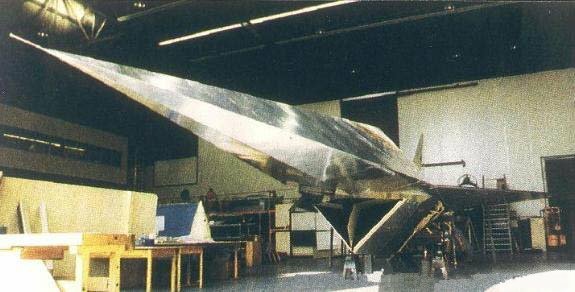 The project ended in 1987 when MBB had proved it could design a stealthy aircraft. The research has since been used in other aircraft designs (presumably the Eurofighter Typhoon, EADS MAKO and various weapons). According to some people, the Americans were responsible for ending the project. 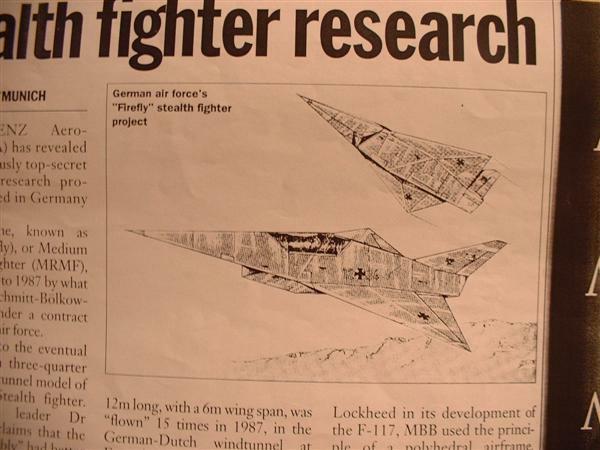 The project was revealed to the world in Flight International Magazine, in 1997. 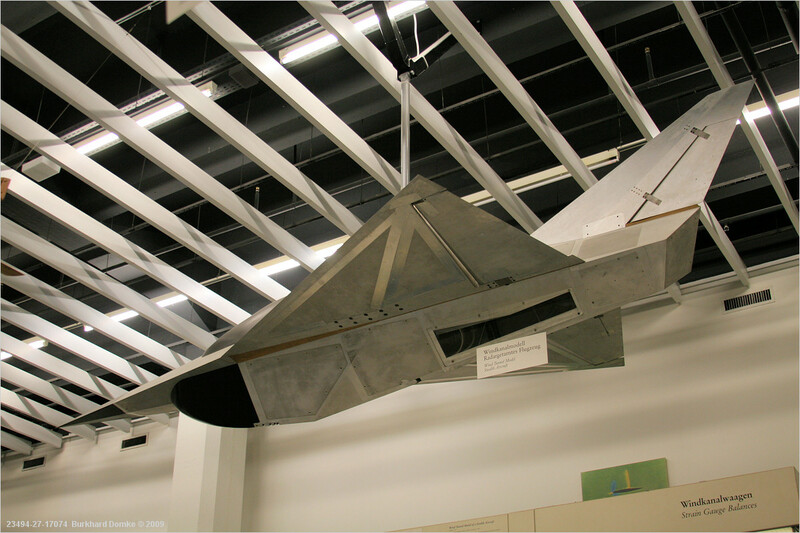 The RCS-measurement model was built at full scale (length 16 m, span 8 m) in 1987, and it confirmed the predictions made with the software program, showing a lower RCS than even the F-117. Here is a 3-view drawing. After initial tests with the two smaller models, the 3/4 scale model (length 12 m, span 6 m) was built. This was unpowered, but did have a cockpit. It was 'flown' by a test pilot inside a 9.5 x 9.5 m wind tunnel of the Deutsch-Niederländischen Windkanal (German-Dutch-Wind-Tunnel) consortium. Complete flight cycles were simulated in the tunnel, the tethered model was flown to speeds up to 225 km/h (120 kts) followed by a safe landing. Unicraft is planning to create a scale model Lampyridae. There is a model for X-plane, as well. 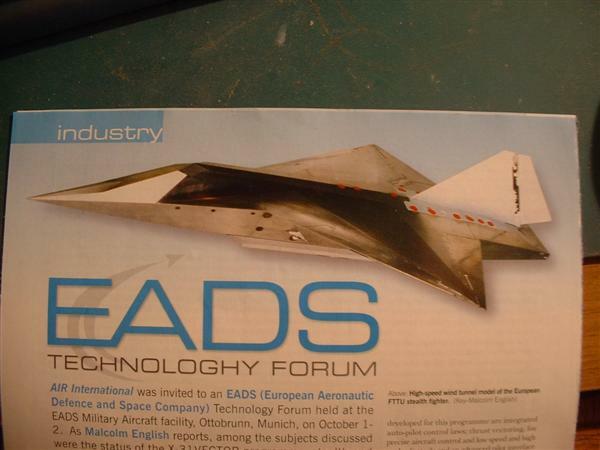 In 1997, DASA tried to put together a partnership for an European project to design and build a technology demonstrator for a fighter aircraft. They showed photos of a concept named FTT (German abbreviation for 'Flying Technology Program') or FTTU. Flight International had a brief report in its 25 June 1997 issue. The FTT looked similar to the Lampyridae. More Lampyridae sources I've collected on the internet.